Men representing chapters in the Eastern Province Council of Kappa Alpha Psi Fraternity, Inc., met at the Sheraton Hotel April 5-8 in their 93rd Session. The event was hosted by the Chesapeake/Virginia Beach (VA) Alumni Chapter and the ODU Chapter, Eta Omega (E). 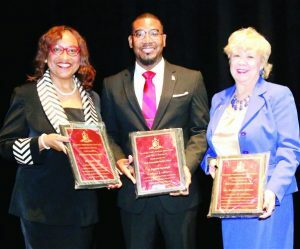 As part of the activities, a public meeting was held on Friday, April 6 that allowed the session to present Community Service Awards to three Hampton Roads residents. They were Rev. Rashard Cartwright, Pastor, Little Grove Baptist Church, Virginia Beach; Mrs. Karen Wilson, Director, Future Link Talent Curve, LLC; and Ms. Brenda H. Andrews, Publisher, New Journal and Guide. Three Kappa men were presented the prestigious Pillar of the Province Award: Freddie Colston; Robert Jenkins; and Nathan Fletcher. During the evening’s activities, a video was shown informing on the National Kappa fraternity’s partnership with St. Jude Hospital. Attendees were given the opportunity to donate on the spot to support the ongoing fundraising drive for the St. Jude Project. The Fraternity is within $100,000 of donating $2 million to support operations and children at St. Jude. 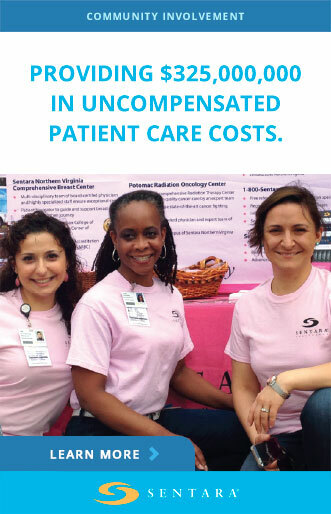 KAP is the first African American organization to become a national partner with St. Jude. Over $5,000 were raised at the event. The Master of Ceremonies was Charles A. Gilbert, Senior Province Vice-Polemarch, Fort Washington (MD) Alumni Chapter. The Hon. Angelia Williams Graves brought greetings from the city of Norfolk. Other participants in the program were: Gayatachew R. Dorsainville; Rev. Joshua N. King, Sr.; Devin R. Dixon; Mrs. Jonetta S. Ewell; Cornelius Hudgins, IV; William H. Milligan, III; Robert L. Brown, Jr.; Robert L. Jenkins, Jr., Esq.